I’m not saying shoe gods exist, PER SE, but some spiritual sartorial entity has been pointing me in the direction of these pom pom heels for quite some time. First, there was the move. The organisation of (and reintroduction to) years of heeled artwork. A collection, while enviable, with a noticeably pom-pom hole in it. Then, a stranger pointed out that House of Fraser had a hyper-haute shoe closet of their own. 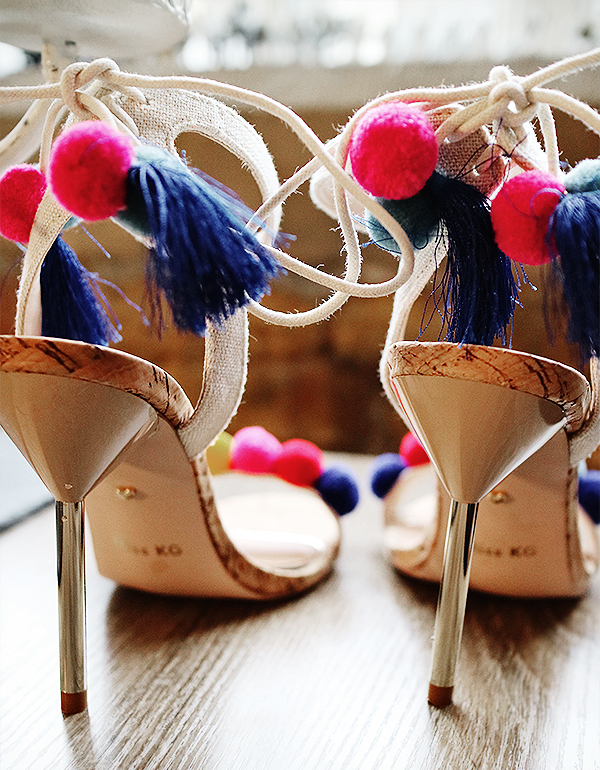 Pom poms, pin heels, et al. It seemed rude to ignore such designer deities.